It’s all coming together—the company that started by connecting your thermostat is now poised to connect your home. 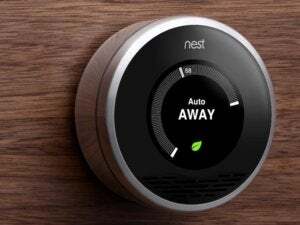 Nest on Monday announced its Nest Developer Program, which will allow other companies to certify products with a “Works with Nest” label. Soon the Nest will be able to boss around an entire Internet of Things. The program is designed to let Nest work in concert with other devices. For example, your connected Mercedes-Benz can let your Nest know you’re on the way home, which could trigger the thermostat to adjust the temperature. Actually, you can do that today with an IFTTT recipe that uses your iOS or Android phone’s location services, but having the car do it for you is nice too. Other announced integrations include Jawbone, letting your UP24 tell your thermostat you’ve woken up, before your feet have even hit the floor. LIFX bulbs can mimic an occupied house when you are away by turning lights on and off. And Whirlpool is teaming with participating energy providers’ Rush Hour Rewards program to save you money. Your energy company tells the Nest when the demand for power is high, and the Nest tells your Whirlpool washer and dryer to hold off during that time. Developers are free to dream up their own integrations too, of course. Since the Nest knows if you are away, that can be a trigger for actions that you’d prefer happen when you aren’t around—a noisy dishwasher cycle or the robot vacuum patrol. Nest can perform actions triggered by other devices, like the Jawbone example, or turning the heat down in concert with your lights at the end of the day. Dropcam wasn't mentioned in today's announcement. Nest’s announcement and video didn’t specifically mention its newest “family” member Dropcam, since the acquisition announced late in the day Friday hasn’t yet been finalized. Or maybe because pointing out that the Dropcam’s Internet-connected camera could be controlled by the Nest—which knows if you’re home or away or even if you’re asleep—well…that might not be fun to think about all together. 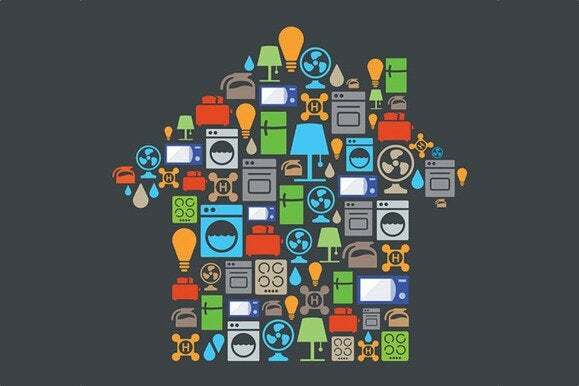 But to achieve the promise of the connected home, we really do have to think about it all together. The future isn’t a bunch of one-off devices that each work with one app and not in concert with each other. The idea is for any smart device worth its salt to be smart enough to work together seamlessly in whatever combination of brands and features works best for you. That’s what Apple is trying to solve with HomeKit, and the Nest Developer Program will provide similar tools to devs wanting to integrate with Google’s thermostat-turned-hub. We expect to hear more at the Google I/O keynote next Wednesday.